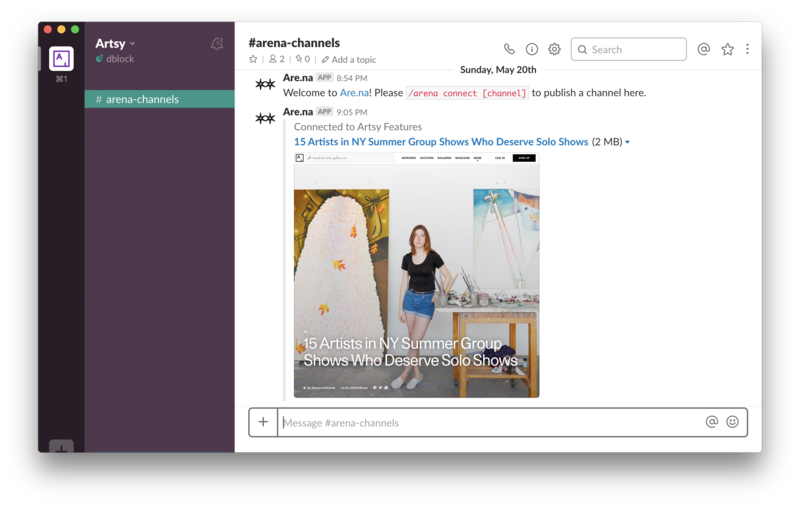 Add to Are.na from Slack and follow channel and user updates. Free 2 week trial, no credit card required. Subscribe for $4.99/yr.